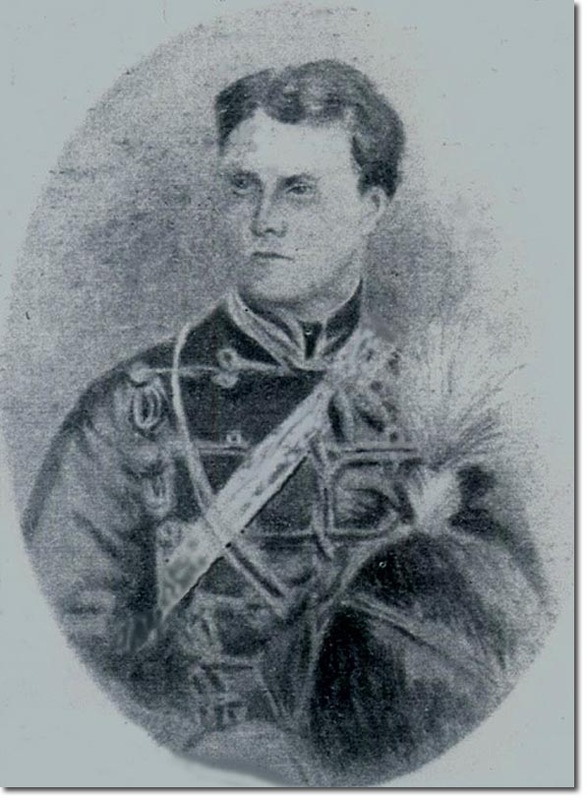 Cornet Bankes was in the battle to relieve Lucknow, serving as a junior officer in the 7th Hussars. His Troop was led by Captain Slade at an action at the Moosa Bagh on 19th March 1858. Slade was wounded and unable to carry on so Bankes led the Troop in 3 charges against the mutineers. But he was brought down from his horse and hacked with swords by a group of rebels. His life was saved by Lieut-Colonel James Hagart, his commanding officer. However he was badly wounded all over his body and died 18 days later on 6th April 1858. He was born in Kingston Lacy, Devon on 11th Sep 1836 and entered the 7th Hussars on 3rd March 1857. He was 22 years old when he died and was awarded the Victoria Cross.